8th May 2017: America’s #1 gas grill brand Char-Broil® is demonstrating its commitment to innovation with the launch of its first digital electric smoker into the UK this month. 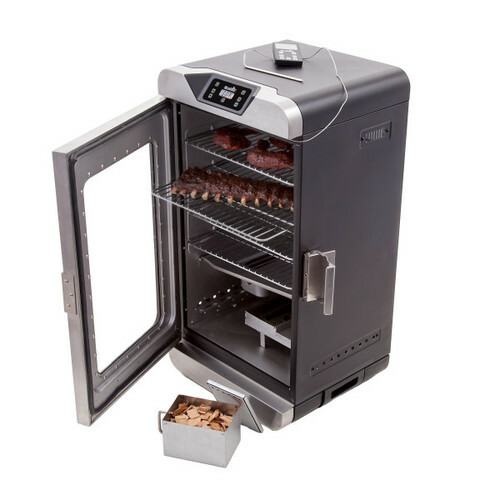 Available from garden centres nationwide with an RRP of £349.99, the smart smoker is perfect for fans of tender smoked ribs, pulled pork, the perfect smoky ribeye steak or delicately-flavoured smoked fish. This press release was distributed by ResponseSource Press Release Wire on behalf of Minx PR in the following categories: Men's Interest, Home & Garden, Food & Drink, for more information visit https://pressreleasewire.responsesource.com/about.